Subsidiary Design is a design studio inside of an art practice. We like to make stuff. An introduction to digital media production with the Adobe Creative Suite. By xtine burrough and Michael Mandiberg. Stencilano is a freely-developed and distributed variation of the typeface Zapfino, that makes the font safe for laser cutting and stenciling. A Firefox plugin that inserts carbon footprints into airline tickets websites. Commissioned by Rhizome and supported by Eyebeam. A Google maps ugrade that calculates gas consumption and emissions along with trip directions. 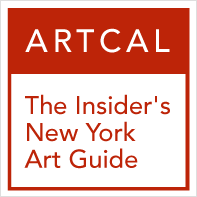 The Insider's New York Art Guide. Gallery & Museum openings and exhibition reviews. Simple and Easy: Wine delivered to your doorstep. Personal website with cellphone pictures of cool bikes. A simple solution for artist portfolio websites. A challenging school for children of diverse backgrounds.